It's Justine, I have another episode to add to the Quick and Easy Card Series. Making your own background can be super effective. I love this heart flourish because of its width - it fits everywhere with a simple turn! 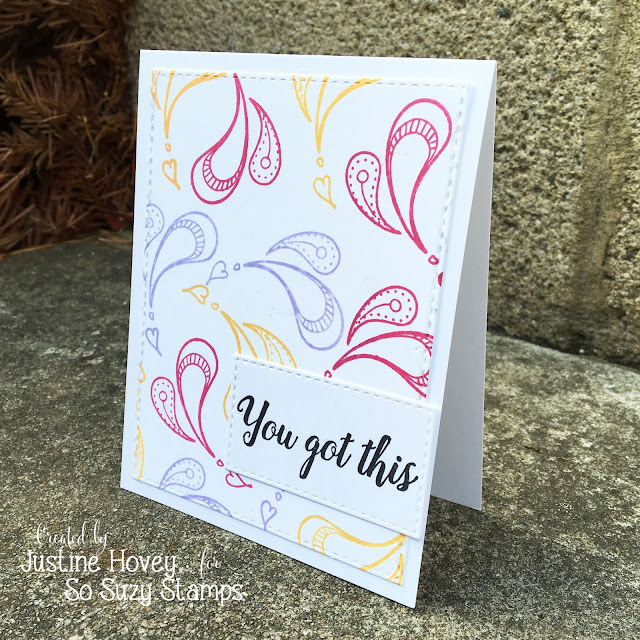 I paired it with the You Got This stamp and just did some simple stitched die cutting to give the card a finished look. Such a pretty card Justine! I love all of the colors and the simplicity of the card.